Novel design, beautiful bird shape, can attract a lot of flowers and plants growers. It's simple to use. Just simply fill with water and insert into soil to water those thirsty plants or flowers. Glass bird waterers, with Self-watering system. If you are filled with water and insert in the vase, usually continuous water about one and a half to two weeks and just convenient for you. 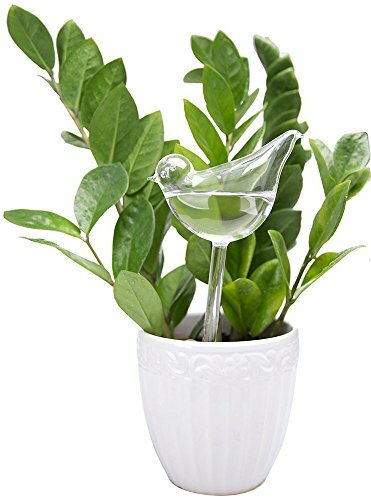 Of course, it's not only perfect for hard to reach plants, but also decorative Birds hold water. And believe that it will be a great gift to send to your dear friends and family. 1.Make a hole in the soil first, this will help to avoid soil clogging the tube. 2.Fill each watering globe with water. 3.Insert the tube into the holes you made in the soil.